Felix Rosenqvist fired a significant warning shot at his FIA Formula 3 European Championship rivals as he won the opening race of the season, and crafted two unprecedented comeback drives, at Silverstone this weekend. Rosenqvist enjoyed a strong start to his new life with multiple title winners Prema Powerteam, claiming pole position for each of the weekend’s three races after topping both of Friday’s qualifying sessions. The 23-year-old Swede duly went on to win the curtain-raising event on Saturday morning, underlining his pace by notching up the fastest lap of the race. However, a technicality surrounding the front wing of Rosenqvist’s car – inadvertently caused by a loose screw – was to drastically change the landscape for the remainder of the event. The 2014 Macau Grand Prix winner was stripped of his times from second qualifying, revoking his pole positions for races two and three and instead leaving him at the very back of the most congested field in FIA F3 European Championship history. Rosenqvist, however, fought back with undiminished inspiration. From 35th and last place, he produced not one, but two, incomprehensible fightbacks, making up a total of 51 places – to seventh and 12th respectively – in two races; a feat unmatched in F3 competition. Despite his exclusion from Qualifying 2, Rosenqvist leaves the season-opener holding fourth place in the overall championship standings. 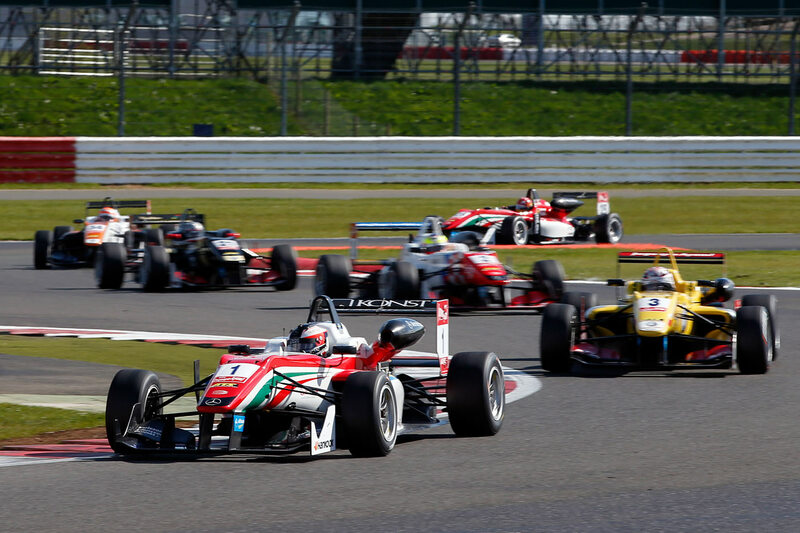 The second round of the 2015 FIA F3 European Championship takes place at Hockenheim (Germany) on May 1-3.